Cinco de Mayo is Spanish for the fifth of May. 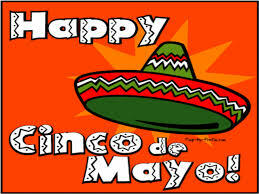 It is also celebrated in the United States and Mexico annually on the 5th day of May. It commemorates the Mexican army’s 1862 victory over France at the Battle of Puebla during the Franco-Mexican War (1861-1867). In the U.S. Cinco de Mayo has evolved into a celebration of Mexican culture and heritage, particularly in areas with large Mexican-American populations. With Cinco de Mayo just around the corner, many people will be celebrating Mexico’s greatest victory with shots of tequilas and margueritas one after the other. Unfortunately, however, the holiday famed for increased alcohol consumption, among other things, is also notorious for the number of alcohol-related offenses. The state of New Hampshire has some of the strictest DUI laws in the country, so if you get caught drinking and driving in the state, you will not only incur a hefty fine, but you run the risk of losing your license and freedom also. Some drivers try to guard against a DUI by knowing how many drinks they can have before they reach the legal limit. For example, the legal limit for adults in New Hampshire is 0.08 and there are charts available showing how much alcohol it takes for certain individuals to reach that limit. However, the best way to avoid a DUI citation is to not drink at all. The penalty for the first DUI conviction is a $500 fine. In addition, your driver’s license could be suspended anywhere from 9 months-2 years. In order to regain your driving privileges, you’ll have to undergo an impaired driver care management program and pay for it out of your own pocket. You may even be required to attend a drug and alcohol treatment program where you’ll be subjected to periodic drug screens. For any subsequent offenses, the penalties are increased and become even harsher. While trying to hit all the hot spots in a single night on Cinco de Mayo, try to remember not to carry that bottle of unfinished beer you were drinking from one club to the next. The state of New Hampshire frowns on people riding around with open containers in their automobiles, so be very careful. Anyone found in violation will be fined $150. However, you can avoid the infraction if you put the open container in the trunk. All the hoopla and celebrating may be too much temptation for some youngsters to resist, but they should resist the temptation to partake until they reach legal drinking age. The legal drinking age for all 50 states is 21. The mandate was imposed on the states in 1984 and all the states had to comply or lose 10% of their federal highway matching funds. Anyone convicted of drinking under the age of 21 will be charged with Unlawful Possession and receive a stiff fine and potential license loss. So if you’re planning on drinking this Cinco de Mayo, and almost everybody will be, take the necessary precautions to avoid a DUI like selecting a designated driver or using a cab to get around. In all likelihood, the price of a cab would be far less than what a DUI would cost. If arrested for DUI in New Hampshire, contact a criminal defense attorney as soon as possible.